Wonderful Article on the New Shavertown Trail! | Andes Works! ← Dirty Girl Farm Pig Roast on Saturday! Our deep thanks to photographer and food writer Ulla Kjarval for exploring and writing about our brand new trail in Andes. (Our thanks to her for alerting us, too!) 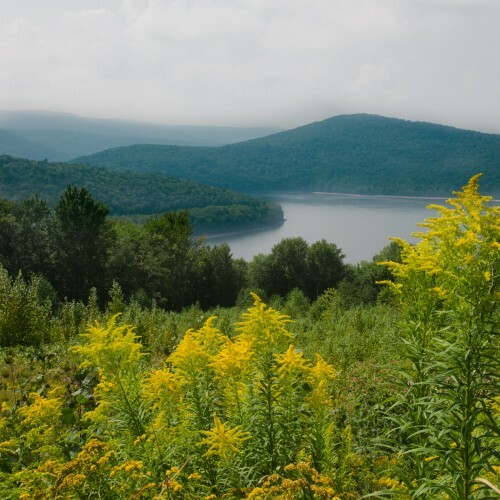 One of her great photos from her hike below… This is a wonderful new trail that courtesy of the vision and hard work of the Catskill Mountain Club and the NYC DEP. Click here for Ulla’s whole article! This entry was posted in Amazing People, Andes, Community, Fun, NY, Press, Recreation, Tourism, Waterways and tagged Andes, Catskill Mountain Club, DEP, hiking, NYC Watershed, Pepacton Reservoir, Shavertown, Shavertown Trail, Ulla Kjarval. Bookmark the permalink.